20 lb. basis acid-free versatile layout bond printed with a non-reproducible blue grid on one side with inch squares accentuated. * Smooth opaque surface suitable for pencil or ink. 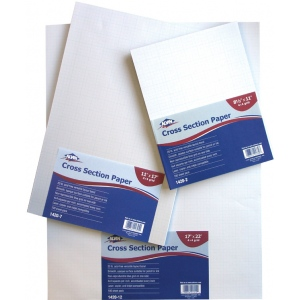 * Used by draftsmen architects and engineers for drawing diagrams plotting mathematical functions experimental data etc. * 4x4 squares per inch accentuated every inch. The type is drawing .